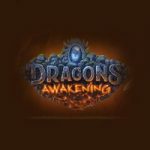 Finally Plentiful Treasure Video Slot which we have asked you to keep an eye out for has been released. 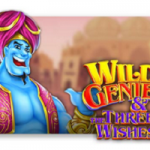 Plentiful Video Slot certainly offers some handsome features players can use to claim plentiful treasures. Plentiful Treasure plays with 5 reels x 243 paylines and offers no fewer than 2 substitute symbols which are Bao and Pearl to help you form winning combinations. Bao, meaning treasure is available only on reels 2, 3 and 4 and substitutes for any other symbol except for the Pearl. The Pearl only appears on reel 3 and substitutes for any other symbol with the exception of Wild Bao and Scattered Tripod. Each time the Pearl is part of a paying combo, it will multiple the prize by up to 5x. Three or more Tripod Scatters activates the free games bonus and awards 8 Free Spins. The Free Spin Feature however can be re-triggered. What’s more, those pesky low-paying symbols will not appear during your free spin feature. This part of the free spin bonus obviously massively increases win potential of the bonus round. Any Wild Bao could activate the Gold Coin Feature which offers a chance of winning one of 4 progressive jackpots. You are offered 12 coins to choose from and tasked with turning them to reveal 3 matching symbols. As soon as three of a kind is achieved, the corresponding jackpot is awarded and the feature ends. 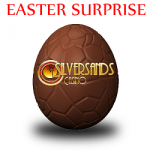 Our recommended Realtime Gaming Casino where you will be able to play this awesome little game from is Silver Sands Online Casino. 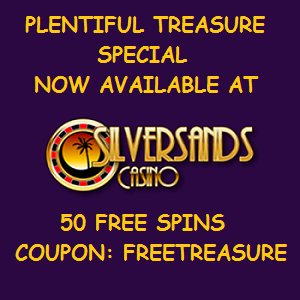 Grab 50 Free Spins on this New released Plentiful TreasuresSlot using Coupon Code: FREETREASURE. Wagering for this offer is set to 60 times the amount obtained from the free spins and the maximum cash out is R500. Once you have enjoyed your Free Spins take a look at this great deposit bonus on offer as well. 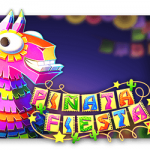 Minimum Deposit of R200 for 100% bonus up to R2,000 PLUS 50 free spins on Plentiful Treasure. For this you would need to use Coupon Code: BONUSTREASURE. This offer can be used 3 times per player until 30 November 2018. Wagering for this offer is set to 30 times the deposit bonus received and amount obtained from the free spins. 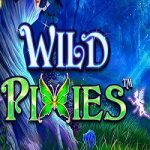 This entry was posted in Casino Games and tagged 50 Free Spins on Plentiful Treasure from Silver Sands Casino, Play Plantiful Treasure at Silver Sands, Silver Sands Casino Special on Plentiful Treasure on November 7, 2018 by Casino Admin.